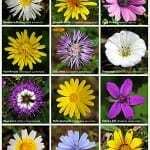 She’s an obscure botanical possibility, seldom heard in the US. Thanks to JaydenAmaya for suggesting Madelief as our Baby Name of the Day. We love Maddie names. Madison has been among the most popular girls’ choices in US for years, followed by Madelyn – yup, this spelling – and Madeline, all three in the Top 100. There’s also Madelyn, Madeleine, Madilyn, and so on, plus brother names Maddox and Madden, thanks to the Jolie-Pitt family and the NFL. Botanicals are big, from the classic Lily and Rose to daring new possibilities like Edelweiss and Azalea. Missing the flower power link? 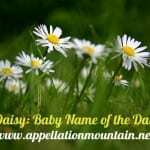 The Dutch word madeliefje means daisy. The name is pronounced mad uh LEEF, the last syllable rhyming with leaf. Madelief is well known in the Netherlands – she’s ranked in their Top 100 in recent years – but my impression is that she’s a relative newcomer. According to this chart, the name was virtually unknown until the 1980s. Celebrated children’s book author Guus Kuijer wrote a series with a character called Madelief in the 1970s. A television series followed in the 1990s. Kuijer has won international acclaim, but few of his books are translated into English – and it looks like none of the Madelief stories. As a given name, she’s rare in English, too. Actress Joanna Page, best known for the BBC romantic comedy Gavin & Stacey, welcomed a daughter called Eva Madelief in 2013 with her actor-husband James Thornton. Could it be that Page and Thornton named their daughter after their dog? The couple’s Jack Russell is named Daisy. In the US, Madelief has never been given to five girls in any single year, making her a true rarity. But travel to Amsterdam, and you might come across actresses Madelief Blanken or Madelief Verelst – the latter played Guus Kuijer’s character in the 1990s television series. Madelon is the Dutch equivalent of Madeline, and has been in their Top 100 in recent years. As for the ending, Lieve is bestowed as an independent name, originally short for Godelieve, a name unheard in English for centuries, but related to the German Gotelieb. Gotelieb is usually translated to “God’s love,” but I’ve also read that Lieve means sweet – as does Madelief’s lief. 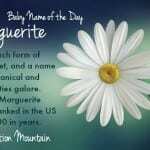 It also struck me that Margriet – the Dutch equivalent of Margaret, a classic girl’s name associated with the daisy – is very sparingly used nowadays, suggesting that she’s considered old-fashioned. But the real question is whether Madelief could be worn in the US. I’m a fan of other rare Mad- names, like Madigan and Madeleva. Madelief fits in with those choices, the kind of name you’d have to repeat and spell again and again. But if you’re patient, Madelief should wear well. And if you’re interested in honoring your Dutch heritage, she’s an attractive possibility. What do you think of Madelief? Would you consider Madelief for a daughter, or is this one too unusual to wear well in the US? What a fresh, beautiful name! Not sure I’m brave enough to use it as a first, despite (very diluted) Dutch ancestry on both sides, but I’ll be pushing for this as a middle name! Hello! I live in the U.S. and my daughter’s name is Madelief. My ex husband is from the Netherlands and when he suggested the name while I was pregnant, I loved it immediately. The funny thing is that my daughter looks very much like the actress Madelief Verelst (probably not spelled correctly) who played the Madelief on the tv series adapted from the Guus Kuijer books. My daughter was fascinated with those movies when she was young. Everytime someone new encounters the name, they comment on it. We met a Dutch couple who were expecting when my daughter was young, and they ended up naming their baby Madelief too. :)We do not call her Maddie for short, as Madison was the number 1 name the year she was born. We do use Madeliefje, Mads, Liefies as nicknames. I have never regretted choosing her name, and I think it is a very pretty feminine name. Her middle name is Vera by the way. I’ve only recently encountered this name, and I love it as an alternative to Madeline. I just may end up marrying a certain Dutch boy one day 😉 so I’ll have to keep this one in the back of my mind. I think it might work better as a middle name, though. Thank you for covering Madeleif. I think it could definitely work well in English, but it would feel a little weird for me to use it because I have absolutely no connection to the Netherlands. I’d consider it as a middle name though. p.s. Its Jayden, not Jordan. My apologies, Jayden! Edited above. Thanks for covering Madeleif(Its Jayden not Jordan by the way). I think it could definitely work well in English, but I’d probably only use it as a middle name because its really unfamiliar in America and I have zero Dutch ancestry. Margriet, by the way, is strongly associated with Princess Margriet (b. 1943), the King’s aunt. Saint Margaret is known as Sint-Margriet in Dutch, but apart from that the name was seldomly used before Princess Margriet’s birth. It is now considered oldfashioned. Margriet is the Dutch word for daisy. Madeliefje specifically means lawn daisy (Bellis perennis). I know of one American child named Madelief, and her parents have spent some time in the Netherlands. My daughter is called Madelief (I’m Dutch and I live in Holland…) and I believe the name was coined by Guus Kuijer, so his character Madelief growing up in the 70s was a bit of an anachronism. Funny that the books have not been translated, they’re among the best known Dutch children’s books. 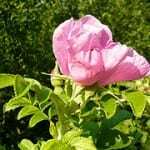 Another Dutch botanical name that might work in English is Marjolein (‘majoram’). It was popularized by famous author Herman Heijermans, who named his daughter Marjolein Droomelot in 1920. Droomelot (apparently a smoosh of ‘droom’ (dream) and Duimelot, a name from a nursery rhyme) never caught on but Marjolein has become extremely popular.